Burma Campaign UK has joined other human rights organisations in support of the three Kachin activists jailed for organising peaceful protests, reports RFA. Burma Campaign UK has “named and shamed” 49 international companies it accuses of having links to the Burmese military, reports the UAE-based National. The Burma Campaign UK, published its “Dirty List of international companies linked to the military in Burma, or companies whose operations are linked to human rights violations or environmental destruction”, reports the journalist Rashmee Roshan Lall. Humanitarian organisations have hit back at accusations that they are blocking the repatriation of Rohingya refugees living in crowded camps in Bangladesh. 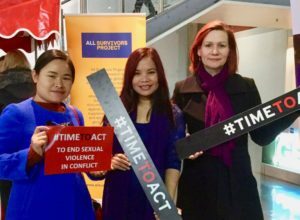 Lway Poe Kamaekhour from the Ta’ang Women’s Organization (TWO) joins Zoya Phan and Anna Roberts from Burma Campaign UK at the 2018 Film festival on Preventing Sexual Violence in Conflict, at the BFI London. “There are falls from grace, and then there is Aung San Suu Kyi”, says the Guardian’s Southeast Asia correspondent in an examination of how the Nobel peace prize winner has become a global pariah at the head of a regime that has excused a genocide, jailed journalists and locked up critics. As Rohingya refugees in Bangladesh refuse to return to dangerous and volatile conditions in Rakhine State, Burma Campaign UK’s director Mark Farmaner called Burma’s pledge to bring back 150 Rohingya a day a charade. He told the Guardian it would mean repatriation of the million refugees in the camps would take almost twenty years. 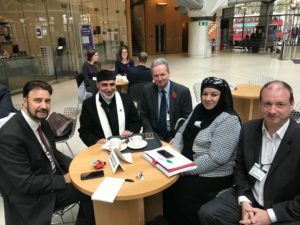 Our Director Mark Farmaner in his capacity as Director of Justice4Rohingya, in a meeting with Afzal Khan MP, Labour MP for Manchester Gorton and Shadow Home Office Minister for Immigration. 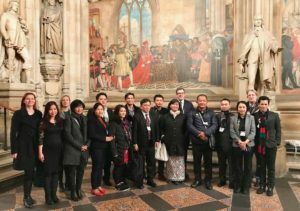 BCUK team with Northern Burma delegation Kachin, Ta’ang and Shan, and Christian Solidarity Worldwide in the UK Parliament where the delegates spoke at the All Party Parliamentary Group on Burma. With Burma’s general election exactly two years away, the next 12 months may be the last chance to reform the law, give the Rohingya their long overdue citizenship rights, and help create conditions for the safe return of a million Rohingya refugees in Bangladesh.